If you like to eat organic, healthy food, the best way to do so is to grow your own. But when you live in an apartment or simply don’t have a garden, growing your own bio food might get a little tricky. Nothing tastes better than home-grown veggies and herbs, but some (read: most) of us simply don’t have the time for it, or space. But that is no excuse anymore thanks to KickStarter’s Nourishmat. 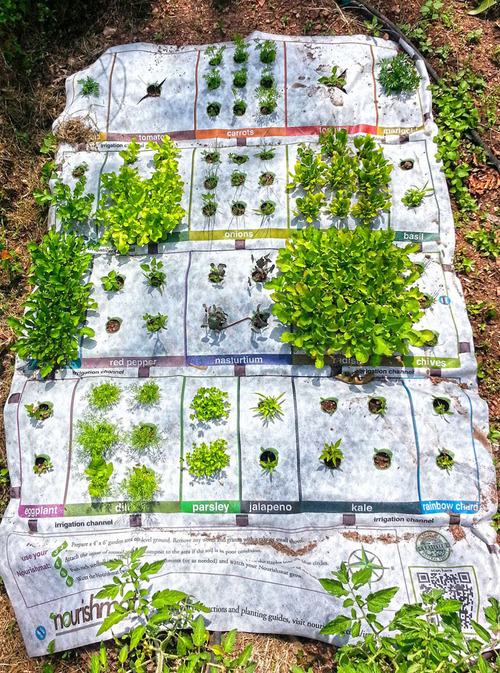 The mat, only 4’x6’, makes urban gardening very easy thanks to the directions which are printed right onto the Nourishmat itself. The Nourishmat comes with 82 seed balls and a variety of 19 plants.